This name consist two Japanese words as the system was rediscovered and developed in Japan, Via; “Rei” which literally means: Universal, boundless aspect of the energy and second word “Ki” literally means: vital force or life force present in each living being, the spirit we can say. The name is self explanatory; about this traditional healing art was developed in 19th century by Dr. Usui in the Usui System of Natural Healing in Japan, though it is believed that this system is more ancient and its deep traces are found in the ancient Tibet before human literally started to write history. Out of many holistic healing modalities, Reiki is one of the traditional and natural ways of healing. 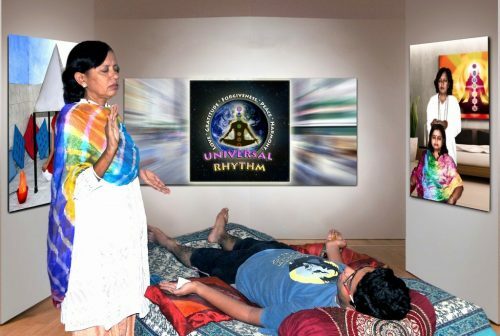 Unlike the present medicinal world which focuses on physical symptoms and external agents for healing, Reiki is pure internal activation of our dormant self-healing power that is somewhere gone dormant as the man started focusing on the materialistic world. There is a non-physical ubiquitous energy that gives life to every living organism. For many thousands of years we have known of this energy and have sought to develop ways to harness its power to heal and influence our lives. The Japanese call this energy Ki. It is also known as Chi by the Chinese, Parana by a number of Asian cultures and the Holy Spirit or Holy Ghost by most of the western world. We carry this energy in and around our bodies from the moment we are conceived. Science has established its existence, and with the aid of Kriliyan photography we are able to see this energy that encompasses all living things. The animals in their most natural forms don’t look for medicine, their internal being without a developed intellect as human knows how to heal. Similarly, as the most developed intellectual species we human also have this self-healing natural force which needs an attunement to be unleashed though while focusing on intellectual work, we humans forgot our natural abilities. 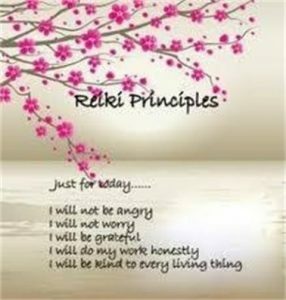 Therefore, Reiki is not just a system of healing, it is journey that begins to the physical healing, mental healing and emotional healing and lead us to the path to deepest core of our ancient being and attains the Peace, Balance and Harmony with our world, which our soul is truly seeking and that we do not find in quick fix methods our present intellectual system offers.